I am posting to answer some questions that have been asked of my small business as of late. # How much do you charge for individual income tax preparation? Our fees are based on the number of individuals in the plan. The charge is $0 per individual. Yes, this does include dependents. So a family of four would pay $200. # Can the tax preparation fee be taken out of my return or do I need to pay for the service upfront? Both. 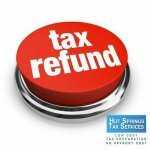 We can either accept payment when filing or can have the payment deducted from your return. # When is the first day that we can file an income tax return in 2013? It really depends on the forms you will need. The I.R.S. has given dates for some forms and other forms are expected to be out around the same time. So from reading this, it can be said that the 10th of January will be the first day that we will be able to efile your income tax forms. # When will my return be direct deposited or a check mailed to me if I efile? The I.R.S. hasn’t given out much detail about their schedule but we have used prior years I.R.S. Tax Calendar and modified it using the information that we have received from the I.R.S. so far. To view the I.R.S. 2013 Income Tax Payment Schedule, click here. # How much will I get back from my return? That is entirely dependent on your personal factors including your income and tax payments for 2012. You’re personal situation can also affect this great. HR Block created a great tool for getting an estimate of your tax refund. It is simple, so if you have more advanced taxes, it is most likely incorrect. You can calculate your 2012 Income Tax Return by clicking here. Industry experts generally agree that proper tax planning takes an average of six months – the time it often takes experts to educate themselves on all available opportunities, determine the best approach, and implement the plan. When you consider that six months from today puts us in March 2013, suddenly next year’s tax season doesn’t seem so far away. If you really want to get the best tax outcomes in 2013: the time to start planning is now. Next year’s tax climate can be best characterized by its extreme uncertainty, which will be brought on by changes resulting from the Supreme Court upholding the Affordable Care Act, as well as by a number of provisions in the Bush tax cuts that are set to expire. This level of uncertainty will make early 2013 a chaotic time for tax planning, and it makes now an even more important time to get the planning process started. With many provisions of the Bush tax cuts set to expire at year end, starting your 2013 tax planning now means you’ll still have a chance to take advantage of some breaks that may be history by year end. Rates are set to increase on federal income taxes (from 36 percent to 39.6 percent), long-term capital gains (from a maximum tax rate of 15 percent to 20 percent), and dividends (to be taxed as ordinary income). Waiting too long to plan for 2013 may cause you to miss out on some of these tax breaks for good. Significant changes are also set to take place when it comes to the estate tax. This tax is set to increase from 35 percent this year to 45 percent next, and the lifetime exemption amount will go down from $5.12 million to $1 million – unless Congressional action is taken. These changes are likely to impact your plans for 2013, and they make it even more critical that you start the planning process immediately. Another large tax provision certain to have an impact on many individuals is the higher Alternative Tax Exemption, or AMT patch. This exemption is set to drop from $74,450 this tax year to $45,000 next year. This means that not only will many more people have to pay the AMT patch, but the increase in taxable income will result in even more taxes that individuals pay next year. AMT may not have applied to you in the past, but this year, it may be one of many reasons for you to plan carefully for 2013.